Nanjangud: Born in Saligrama near K.R. 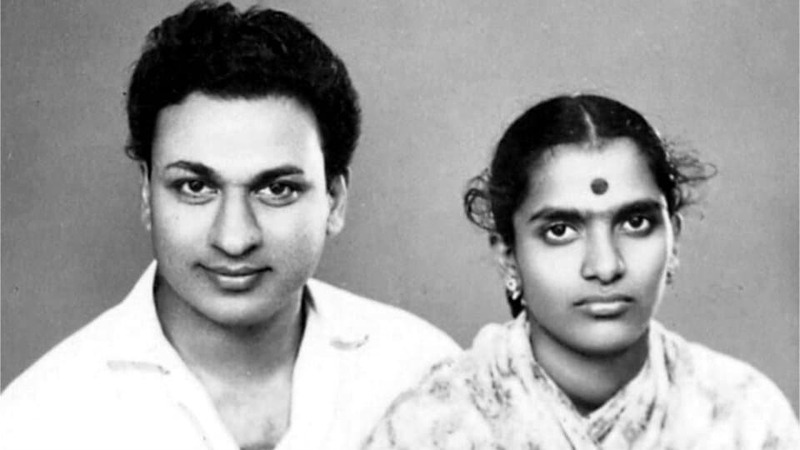 Nagar in Mysuru district in 1939, Parvathamma married Dr Rajkumar at the young age of 13 on 25.06.1953 in Nanjangud. 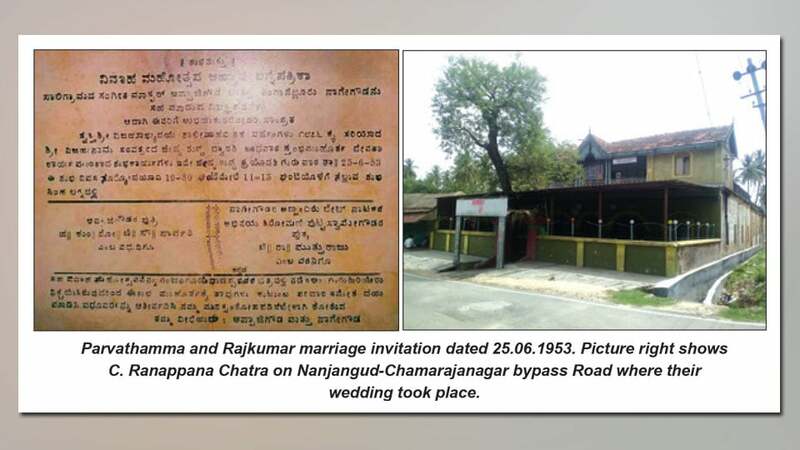 The marriage took place on a Thursday at C. Ranappana Chatra, opposite Chamundeshwari Temple on Nanjangud-Chamarajanagar bypass Road. According to reports, her marriage had been agreed to from the time she was born. However, in some interviews, Parvathamma indicated that her mother had been against the idea of her marrying an actor with a travelling theatre company. According to residents and old-timers in Nanjangud, both Dr. Rajkumar and Parvathamma were the ardent devotees of Lord Srikanteshwara in Nanjangud and used to come to pray there often. Dr. Rajkumar used to act in Nagappa Theatre Company and whenever he was in Nanjangud, he used to visit the temple, say residents. So much was the devotion to Lord Srikanteshwara that a special song “Srikanta Vishakanta…” from the movie ‘Anuraga Aralithu’ was shot inside the temple compound. Dr. Rajkumar was a great friend of Sathyappa of Nanjangud (now no more). Sathyappa had a house near the Srikanteshwara Temple Dr. Rajkumar and Parvathamma used to stay with him during their visits.